In May, the ordinance for the 306,000 acre Carpish Mountain Forest Regional Conservation Area was passed by the regional government in Huánuco, Peru – a major first step on the road to protecting this precious ecosystem. 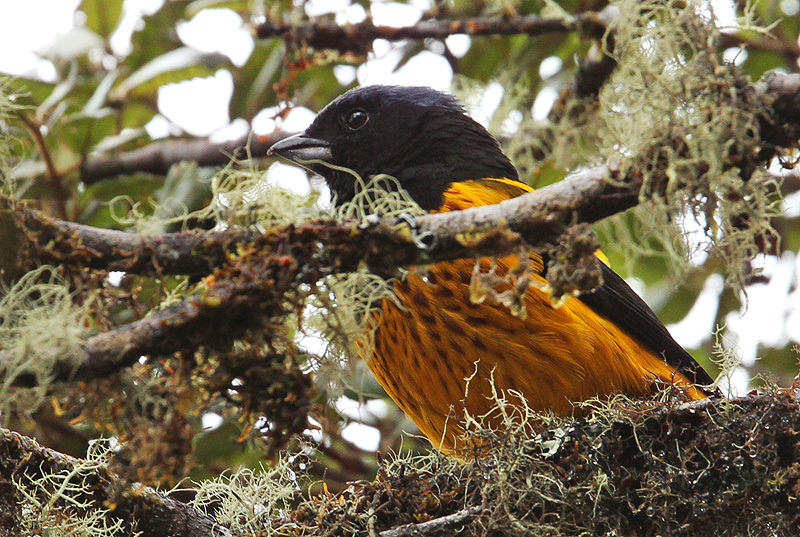 A bird watcher’s dream, the cloud forests of Carpish are humming with an amazing array of bird species, such as the Golden-backed Mountain Tanager. This ordinance came after four years of hard work by the Regional Government of Huánuco and NCI’s local team, which will continue until the area is declared at national level. In 2013, NCI opened an office in Huánuco, Peru to work with the regional government and local communities on the creation of a mosaic of protected areas in the region’s rich Andean cloud forests. The regional and national government has designated the montane forest of Carpish as a top conservation priority. This proposed mosaic of protected areas will include the first Regional Conservation Area in Huánuco and three Private Conservation Areas, protecting around 320,000 acres of the rich Carpish forest. The Carpish mountain range is located between the towns of Huánuco and Tingo Maria in eastern central Peru. The cloud forests of Carpish are home to high levels of species diversity, as well as endemic birds and mammals. It is also globally recognized as an Important Bird Area (IBA) because of its high level of endemic bird species. Now, the alliance between NCI and the Regional Government of Huánuco will expand their efforts by working with the local farming communities that live adjacent to the proposed Regional Conservation Area to implement a sustainable development program that will improve their income from sustainable agriculture, which includes the native potato, granadillas, and golden berry fruit.